Is Your Pension Safe? And Other Frequently Asked Questions. When companies declare bankruptcy, pensioners and their pensions are given the short stick. The assets that are available go to secured creditors and executives walk away with their wallets unscathed. Over 20,000 employees of Nortel Canada, Indalex, Algoma, Grant Forest Products and others have had their pensions cut as a result of a lack of protection in existing laws. CARP wants to change that, arguing that in the event of bankruptcy, pensioners should have super-priority when assets are distributed. Are defined benefit pension plans safe? Not necessarily. Pensioners today are dually exposed. First, companies aren’t funding their pension commitments, so if they go bankrupt, there isn’t enough money set aside to keep pensions whole. Second, when companies go bankrupt, pensions are at the back of the line, so the assets that are available go to secured creditors – not to make up for pension underfunding. How many Canadian workers have defined benefit pension plans? According to statistics Canada, there are 4.2 million workers with defined benefit pension plans. Of these, 1.3 million are privately funded putting them at major risk if the company declares insolvency or becomes bankrupt. 2.9 million workers are government-funded so do not have a risk of non-payment due to corporate insolvency. Why is the current federal law failing pensioners? Existing legislation does not protect pensioners when a company declares insolvency or becomes bankrupt. They are ranked behind secured creditors when remaining assets are distributed. They are not a priority but they should be. The two federal statutes that govern restructure or bankruptcy proceedings are called the Bankruptcy and Insolvency Act (the “BIA”) and the Companies’ Creditors Arrangement Act (the “CCAA”). What is CARP doing to protect pensioners? CARP is demanding legislative changes to better protect pensioners, and has launched a petition to put pensioners first. Click Here to Change the Law to Put Pensioners First! In a bankruptcy or restructuring, we want pensioners to rank ahead of other creditors when it comes to who gets their money first. It’s called super-priority status, and pensioners should have it! This would involve amending the two major federal statues, which govern bankruptcies and restructures: the Bankruptcy and Insolvency Act; and, the Companies’ Creditors Arrangement Act. CARP is also calling on all provinces to make company funded pension insurance mandatory. Ontario retirees’ pensions are insured by the Pension Benefits Guarantee Fund, which currently guarantees up to a maximum payout of $1,000 per month of an employee’s monthly pension in case the employer goes bankrupt. All pensioners should have at least as much. Why do we need these legislative changes? Too often, when companies declare bankruptcy, pensioners’ financial security is mortally wounded; meanwhile executives walk away with their wallets unscathed. This is not fair. Banks have many customers and they aren’t significantly impacted if one loan goes sour. For pensioners, it’s a different story. Millions of Canadians who put in long years of work to earn promised pensions depend on that income in retirement. If the payments stop, their very livelihood is at stake. There ought to be a law! What happens when a company defaults on its pension obligations? When a company defaults on its pension obligations, pensioners don’t get paid. The consequences of this can be catastrophic, and can cause a ripple effect. Pensions are often retirees’ primary or even their only asset; and without an employer pension, the vast majority of Canadians have totally inadequate retirement savings. In fact, a recent report found that less than 30% of Canadian seniors have five years’ worth of replacement income saved. If payments stop, we’ll see a new wave of seniors living in poverty. And poverty is expensive; it’s one of the biggest burdens on the economic, healthcare, and criminal justice systems in Canada. Corporations should not be allowed to walk away from these obligations! One of the arguments opposing super-priority status for pensioners is that creditors won’t bail out companies if their financial investment is made “less secure” through legislation. Is this valid? No. First, Canada has strong appeal as an investment target by would-be investors. This is a comparatively minor change which would not materially lessen Canada’s appeal. Second, a purchase is a negotiation. A purchaser doesn’t decide whether or not to purchase a company, but whether or not to purchase it at a particular price. It may be that the prices paid for companies may be somewhat reduced if all pensioners are paid what they are owed. This is how the market should work. Third, investor risk is minimized because Canadian pension plans are generally healthy, most plans are at least 85% funded, so the liability for unfunded pensions is consequently diminished. What other countries/jurisdictions protect pension plans? 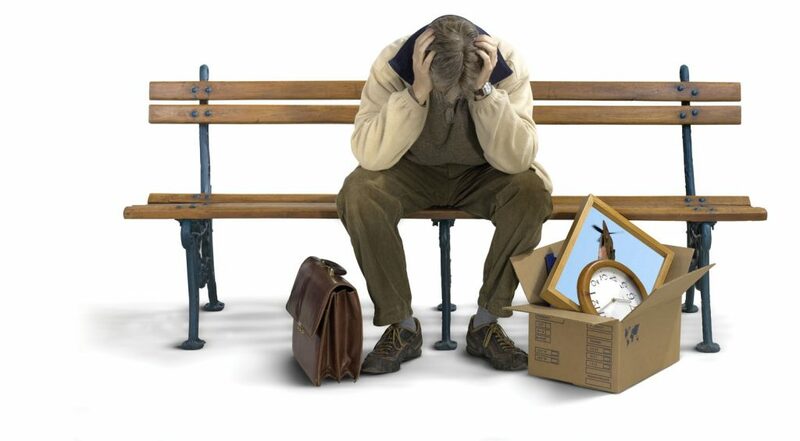 Many countries including the U.S. and the EU protect pensioners from financially distressed employers. For example, Article 8 of the EU Insolvency Directive requires national governments to take “necessary measures” to protect the interests of employees with respect to pension rights. U.S. jurisdictions protect pensioners’ assets – up to $56,000 per year – and a special fund in the U.K. guarantees pensioners 90 per cent of their pension. Canada has a far way to go. Our bankruptcy, insolvency and restructuring laws (CCAA and BIA) are unique to this country. For this reason, there is a particular demand in Canada for super-priority to protect those who need it most. In a restructure or bankruptcy, what are the two principal federal statutes that govern the proceedings? The Bankruptcy and Insolvency Act (the “BIA) and the Companies’ Creditors Arrangement Ace (the “CCAA”). The Companies’ Creditors Arrangement Act, or the “CCAA”, is a federal law in Canada that allows companies that are insolvent to restructure or wind down their business with its creditors under the supervision of the courts. Under CCAA, a company has permission to come up with a reorganization plan that gives the company time to rearrange its financial affairs, usually not longer than 90 days. As long the CCAA order is in place, companies are protected from creditors enforcing debts, and no individual may take legal action against them. CBC News, August 11th – Currently, workers at both Sears Canada and Northstar Aerospace in Milton, Ont., are facing deep concerns about their pension prospects because of the problems plaguing their employers. MILTON – Unifor has taken control of the Northstar Aerospace facility in Milton, Ontario to demand that the company fund a dramatic 24 per cent pension deficit. Sign to Change the Law to Put Pensioners’ First!